The latest activity tracker band from Samsung offers consumers good value as a cross between a smartwatch and a sports band. 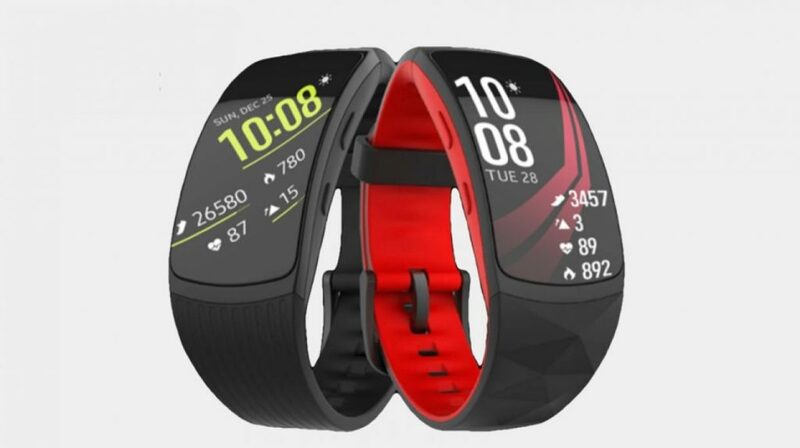 However, the price of the new Samsung Gear Fit 2 Prois expected to be higher than the predecessor Gear Fit 2. The new Samsung Gear Fit 2 Pro comes with a sleek, waterproof wristband. Thus, you can go to the pool to track your swim strokes and cardiovascular activity. Another cool feature borrowed from Gear S3 is the ability to play Spotify playlists offline. A lot of young people like to work out with music. Thus, music streaming is certainly a point of differentiation with other trackers. What’s behind the word ‘Pro’ in the product name? It stands for advanced, professional health monitoring that presently exists on Samsung’s sports tracking device S-Patch 3. The device tracks a broad range of health data including accurate heart rate monitoring meeting ECG standards, body temperature, and body fat levels. We expect Gear Fit 2 Pro to launch either simultaneously with Galaxy Note 8 or on Wednesday the 23rd of August. The price at US$199.99 is $35 higher than Gear Fit 2. Our guess is that a lot of consumers value an activity tracker with a waterproof design and, therefore, don’t mind paying a little bit more for this new feature.